From awareness to interest, to intake and onboarding, digitize your membership growth strategy with personalized, meaningful and relevant content, unique to the individual. Nurture prospects with finely tuned campaigns to keep your association top of mind and drive higher conversion. Create, automate, measure and optimize your entire member journey on one platform and gain insight by connecting all the dots. From member applications to event registrations and discussion posts, get the full picture of each member's interactions to better tailor your communications. Retention is a prerequisite to growth. Evolve the way your association relates to its diverse members by fostering connections within tailored, meaningful segments. Create new communities to give members the opportunity to connect with their peers and gain value. Ensure new members are welcomed and onboarded with a series of touchpoints and personalized actions that ensure they don't slip through the cracks. Automate your welcome messages, create action reminders for membership chairs to connect, and more. Personalize your approach by seeing all interactions a contact has had with your association, whether through events, member referrals, lead capture forms, or previous campaigns. See which emails they opened and when - it's all there in one place. Nurture prospects personally from awareness to interest to conversion. 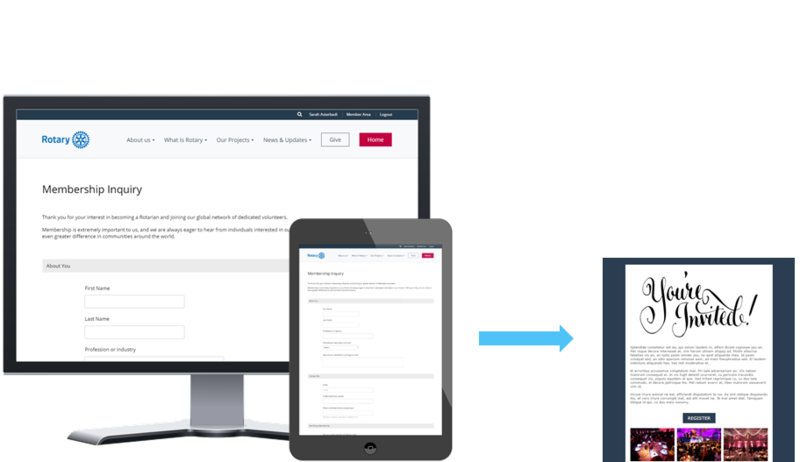 Capture leads from your website and entice them to enter your funnel with gated content downloads. Customize for your member intake processes and adapt as needed. Create tasks in response to key events and automatically assign them to the right people. 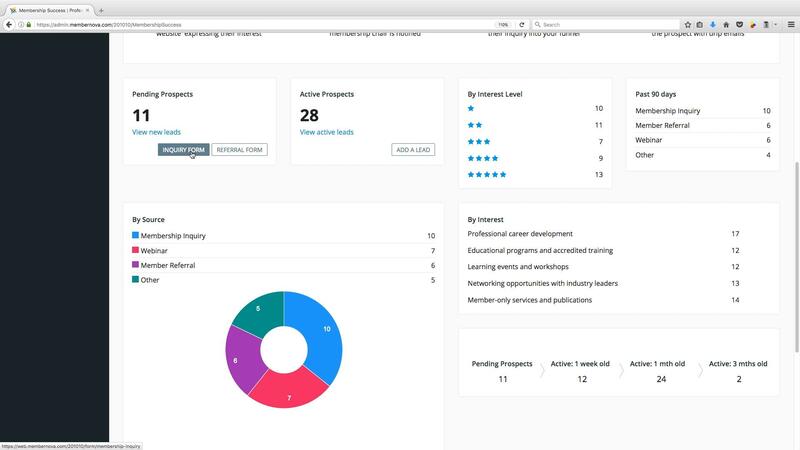 Track everything about a prospect or member within their profile and monitor all activity in one place. Quantify a member's engagement and use it to drive the right actions.